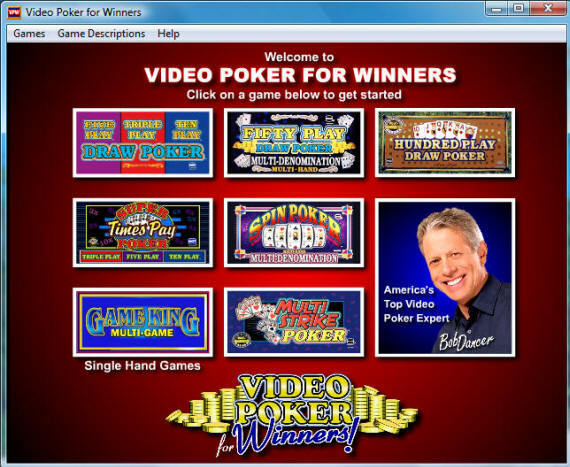 Video Poker for Winners is Bob Dancer's video poker product, and is a feature packed program that is available for instant download and sells for just over $50. 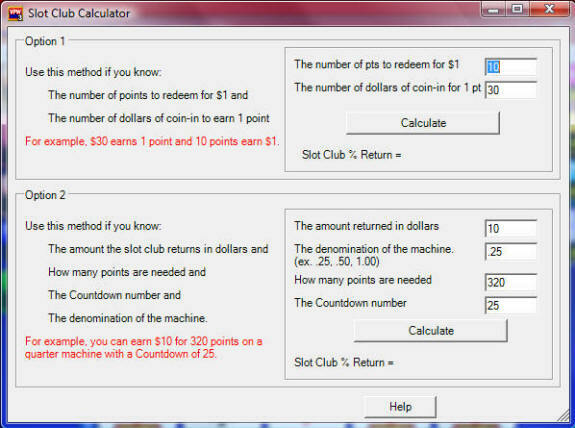 Video Poker for Winners is a training program that lets you play and then advises you when you make mistakes. Over twenty video poker variations are supported in normal mode as well as special modes like Multi Strike. From here you can choose to play either triple/five/ten play, fifty play, one hundred play, super times pay, spin poker, single play, and multi strike poker. Once you choose what type of game you'd like to play, you then can choose from over twenty games including Jacks or Better, Double Bonus, Deuces Wild, and many others. From there, you choose which game mode you'd like to play and start playing. The game modes that you can choose from are Test, AutoHold, Warn, Show, and None. As you can see, I misplayed three out of six hands, and lost $1.287 due to my errors. AutoHold mode automatically plays hands for you so you can watch and see why certain holds are correct. AutoHold plays some of the most difficult hands so you can learn the ins and outs of the game while watching. All of these modes are basically the same. You play video poker just like you're in a casino without any aids. Then, whenever you make an incorrect hold the game notifies you of it so you can either go back and correct it or remember to adjust your strategy next time. Another great feature about Video Poker for Winners is the ability to customize the pay tables on any game, and then learn the new strategy. This is perfect for when you find a super high paying game that no one has published a strategy for. This is an extremely useful tool for professional players who need to know their exact expected return when they're taking advantage of promos and slot clubs. Video Poker for Winners offers a ton of features that are extremely useful for a serious video poker player. Although it is on the expensive side at just under $50, it will still pay for itself time and time again. I give it an A+. If you'd like to learn more or buy the product, head over to VideoPokerforWinners.com.